A politician tapping his massive personal fortune to destroy jobs and raise energy bills for Colorado families. Rep. Jared Polis (D-Colo.) was never much involved in energy issues…until a fracking well obstructed the view from one of his vacation homes. In a classic case of NIMBY (Not-in-My-Backyard) activism, Rep. Polis sprang into action, throwing his personal fortune (estimated to be $68 million) and his political influence behind ballot measures aimed at curbing or eliminating fracking. 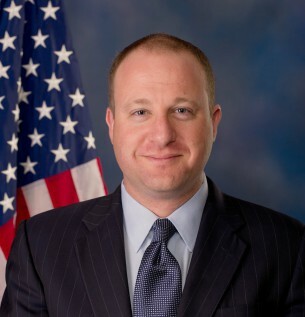 Since he joined Congress in 2008, he’s inspired intense criticism—Gawker even ran an article in 2009, “Jared Polis: To Know Him Is To Loathe Him,” noting the Congressman has a “peculiar habit of creating enemies.” Even the notably left-leaning Atlantic got in on the criticism, with one of its writers publishing a blog originally titled “Go to Hell, Jared Polis.” Now that Polis has turned his attention to deterring energy development, it’s only a matter of time before more Coloradans join the “go to hell” chorus.